About Reliable Senior Care | Reliable Senior Care Inc. Reliable Senior Care is an in-home care provider specializing in non-medical, compassionate care for seniors in Vancouver and the Lower Mainland of British Columbia. 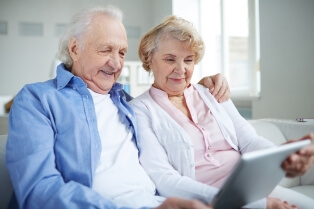 Our mission is to preserve the highest quality of life for seniors in their own homes. Not all individuals who need a little extra help are ready to leave the comforts of home or the communities they’ve come to know and love. This is why Reliable Senior Care is dedicated to providing highly skilled professionals who can provide care tailored for each person’s needs. I have dedicated much of my life to caring for others and helping others to find care for their loved ones. My caring journey began when I graduated with a Bachelor of Elementary Education and worked as a classroom teacher and private tutor for five years in the Philippines. I then spent more than twelve years as a nanny in different countries all over the world, including Singapore, Taiwan, Hong Kong, and finally Vancouver, where I settled. Families kept asking me if I could help others find nannies too, so I put my unique experiences to work and established Reliable Nanny and Caregiver Placement Agency in 2005 to help Lower Mainland families connect with qualified nannies from around the world. I believe that to be successful, one must establish long-term relationships. The only way to build these long term relationships is to have respect and trust for each other. Over the years, I noticed a different trend emerging. More and more people were asking me to help find temporary caregivers for the elderly. That is why I started Reliable Senior Care to serve the needs of seniors in the Lower Mainland. My commitment is to help seniors live confidently and age gracefully in their own homes for as long as possible. I want to make a positive difference in the lives of mature adults and their families who love them. My Reliable Senior Care team will perform their duties with confidence, compassion, and care. I will treat every contact as a friend, every client as family, and every task with honor. Interested in a rewarding career helping to make someone's life better? Apply to become a member of our team today! Copyright © 2018 Reliable Senior Care Inc.